Our Rose Parade float recognizes the contributions of immigrants in building America. In the spirit of the Transcontinental Railroad, our project's about working side-by-side to achieve a common goal. BOSTON, MA, October 02, 2018 — The Chinese American Heritage Foundation (CAHF), a community-driven organization, launches their Harmony Through Union project with a float in the 2019 Rose Parade® presented by Honda. 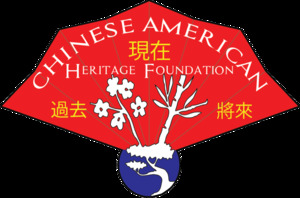 CAHF is the first Chinese American non-profit organization to sponsor a Rose Parade float since the Tournament of Roses® began in Pasadena, California, in 1890. “The Chinese American Heritage Foundation is honored to be working with the Tournament of Roses and Union Pacific Railroad to realize Harmony Through Union. Our Rose Parade float will draw international attention to recognizing the contributions of immigrants in building America. That's just the beginning of our ambitious and pervasive public education program for all ages. Immigrant contributions are not widely taught in our history books or discussed in our culture. So we hope to shine more light to the role of immigrants in uniting and building our country,” comments Esther Zee Lee, Chair of the Board of Directors for CAHF. This topic is particularly resonant with Lee, whose husband's family immigrated in 1865 to work on the railroad. It was Wilson Lee's family history that originally sparked the concept for the Harmony Through Union project, 10 years in the making. The Harmony Through Union project unites, coordinates, and educates people of all ages and ethnicities nationwide by celebrating what has been accomplished thus far, and what can be accomplished continuing as one nation. The Harmony Through Union float concept dovetails into the 2019 Rose Parade theme, “The Melody of Life,” offering harmony to the parade's melody. The Harmony Through Union project includes educational curriculum for grades K-5, and distribution to public and private schools and nonprofit learning centers, under a yearlong program called We Built America. The Tournament of Roses is a volunteer organization that hosts America's New Year Celebration® with the Rose Parade® presented by Honda, the Rose Bowl Game® presented by Northwestern Mutual and a variety of accompanying events. 935 volunteer members of the association will drive the success of 130th Rose Parade themed “The Melody of Life,” on Tuesday, January 1, 2019, followed by the 105th Rose Bowl Game. For more information, visit www.tournamentofroses.com. Like us on Facebook and follow us on Twitter, Instagram and YouTube.